July 13, 2012  The judges are expected to make a decision by late August, and a lot of people outside Texas are interested in the outcome. A number of states have passed voter ID laws, and several await Justice Department "preclearance." If Texas loses, it will almost certainly appeal to the Supreme Court. 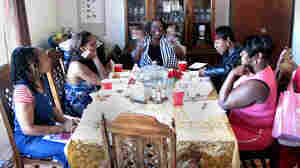 July 13, 2012  An Oakland, Calif., nonprofit group encourages low-income families to figure out for themselves what they need to get ahead, and then helps them achieve their goals. Its pilot program for low-income families is proving to be a promising new approach to an old problem. 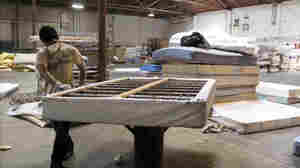 July 12, 2012  A nonprofit that helps low-income families in Eugene, Ore., recycles mattresses to help bring in money. Its funding model is inspiring other nonprofits to start salvaging junk to support services for the poor. July 11, 2012  Poverty among single mothers is an astounding 66 percent in Reading, Pa., where Jennifer Stepp is raising three children by herself. To survive, she relies on a safety net of support. July 10, 2012  Tens of millions of Americans are still struggling, despite the slow economic recovery. In Reading, Pa., the nation's poorest city, local nonprofit Opportunity House provides a lifeline for families trying to stay afloat by offering day care, housing and other assistance. But many in Reading are still left behind. July 2, 2012  Some two million customers from North Carolina to New Jersey and Illinois again woke up to no power Monday, following severe thunderstorms on Friday that left at least 18 dead. Meanwhile, the region faces more blistering heat. 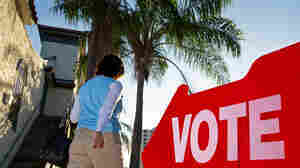 June 12, 2012  The department says Florida is violating federal law as it tries to remove noncitizens from its voter registration rolls. In turn, Florida officials say the federal government is partly to blame. June 1, 2012  Participation is down at some of the Susan G. Komen Race for the Cure events which raise money for breast cancer research and treatment. The foundation may be suffering from the fallout of its decision to stop funding Planned Parenthood programs. The decision was quickly reversed. 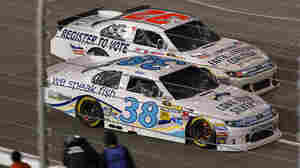 May 31, 2012  New voter ID laws and other voting restrictions have been enacted in a number of states since the last major election. And that's raised special concerns among African Americans, who feel they're being targeted. Black church leaders and the Congressional Black Caucus met in Washington Wednesday to find ways African-American voters aren't discouraged from turning out in November. May 18, 2012  Campaigns, political parties, interest groups — they're all ramping up to register millions of potential voters. 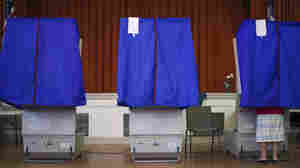 The Pew Center on the States estimates there are 51 million unregistered Americans who are eligible to vote. The belief is that even a small number of them could swing the results. May 1, 2012  A listener shares his experience with a formerly homeless veteran featured in a recent NPR story. 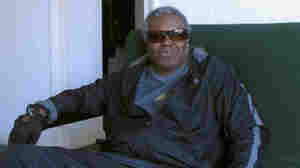 April 16, 2012  Last year, the number of homeless U.S. veterans on a given night fell 12 percent from the year before. But tens of thousands were still on the streets, and more could soon join them as troops return home. President Obama has vowed to end veterans' homelessness by 2015.